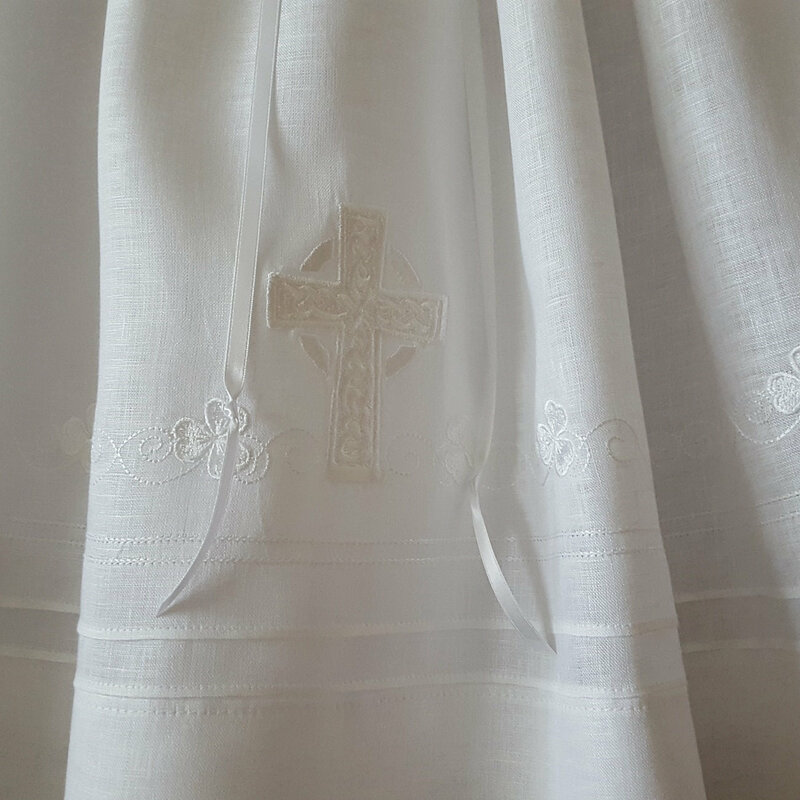 Beautiful embroidered Celtic cross with shamrock swirl border around the entire hem are featured on the skirt of this traditional Irish Linen christening gown. 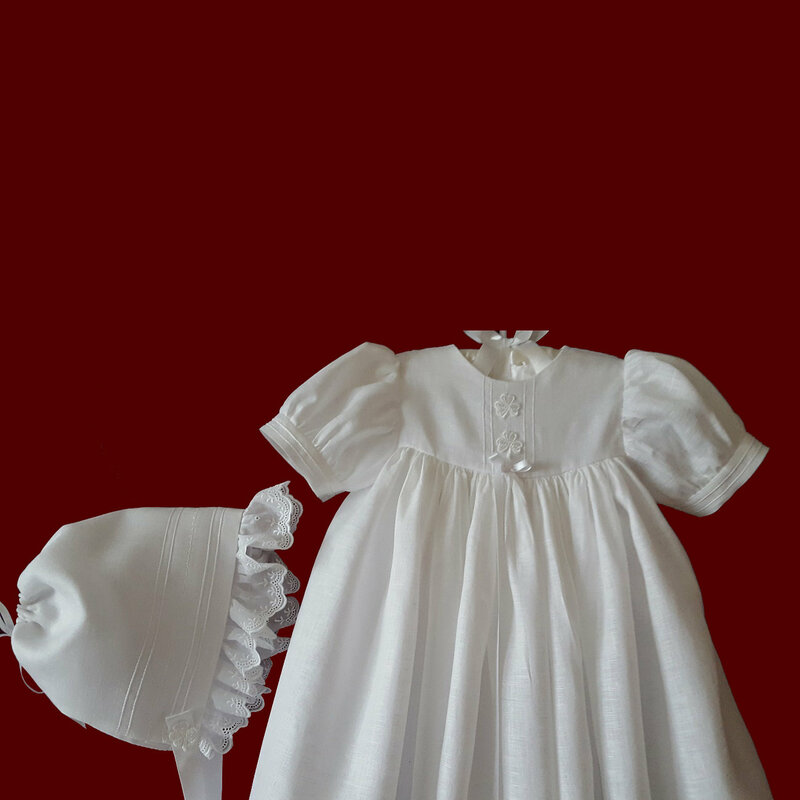 The simple design makes it a perfect choice for all babies, regardless of gender. 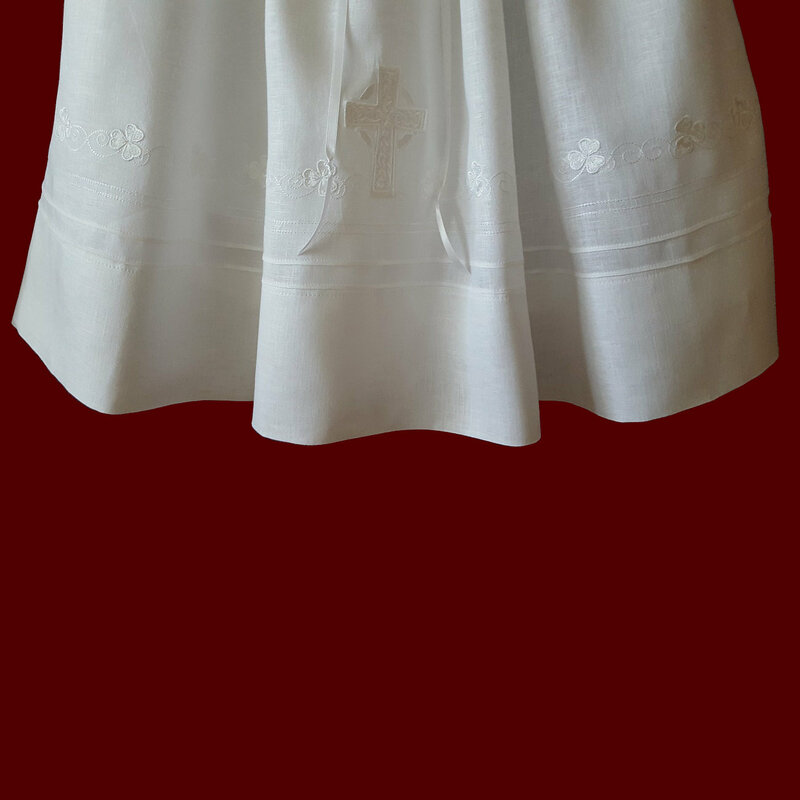 Pintucks and folded tucks at the skirt hem, as well as the sleeves, front yoke and matching cap style hat along with shamrock appliques. 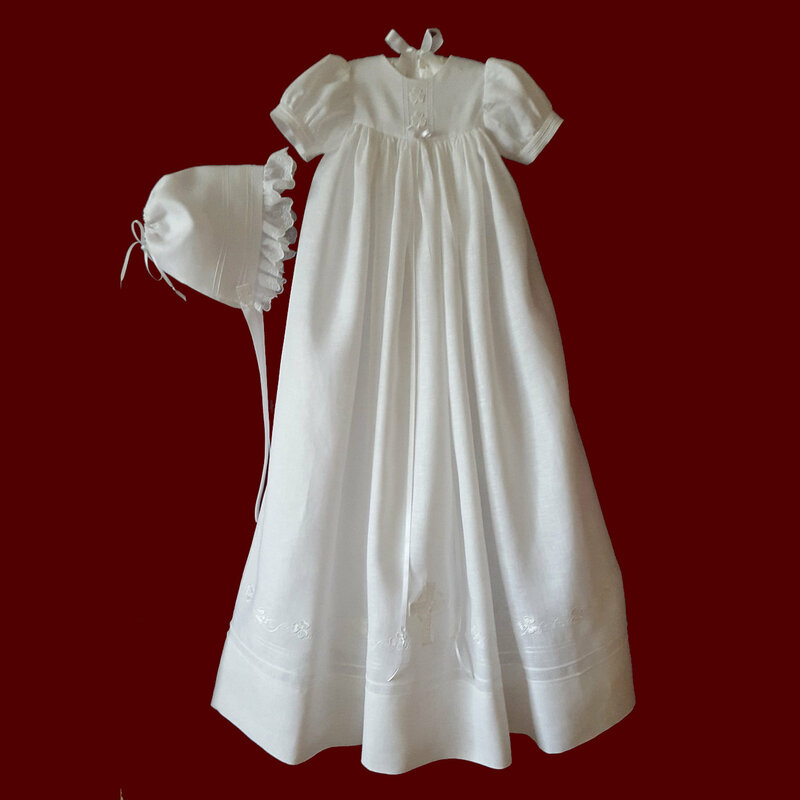 Includes matching cotton slip which can be personalized with baby's name and christening date and hat with adjustable back ribbon casing. 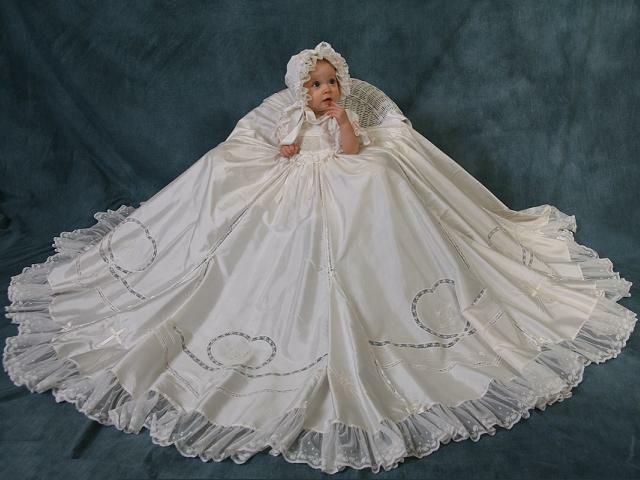 Gown has a double row of buttons on the back yoke to adjust the size and is open down the back skirt portion to allow for easier changings and the ability to spread the gown out fully for beautiful portraits and is available in your choice of gown length. 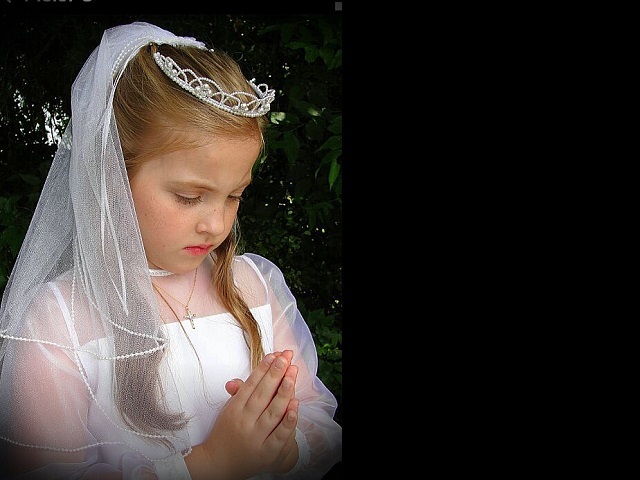 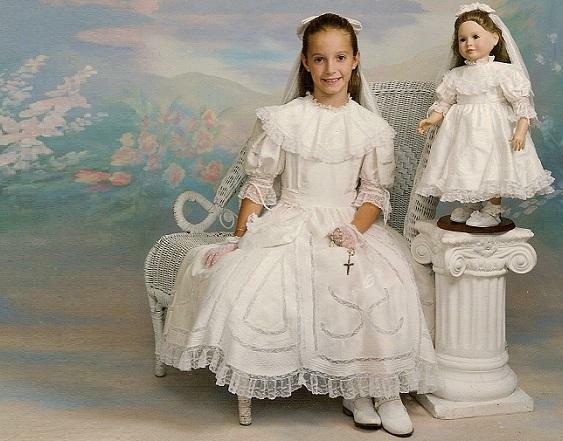 Includes interchangeable white, pink & blue ribbon bows which attach easily to the gown bodice. 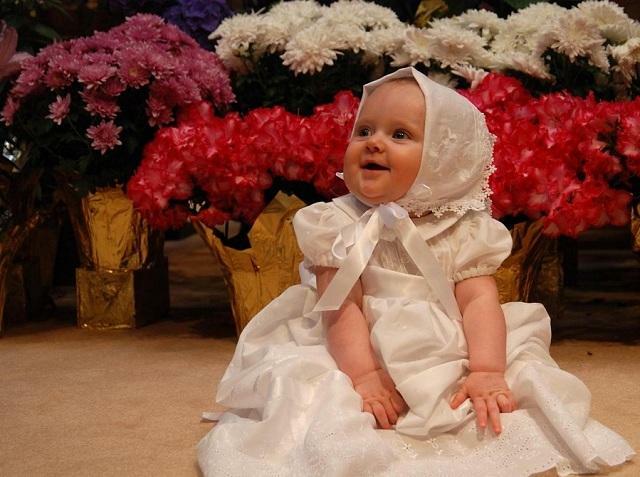 Cap style bonnet has removable girl liner with ruffled lace. 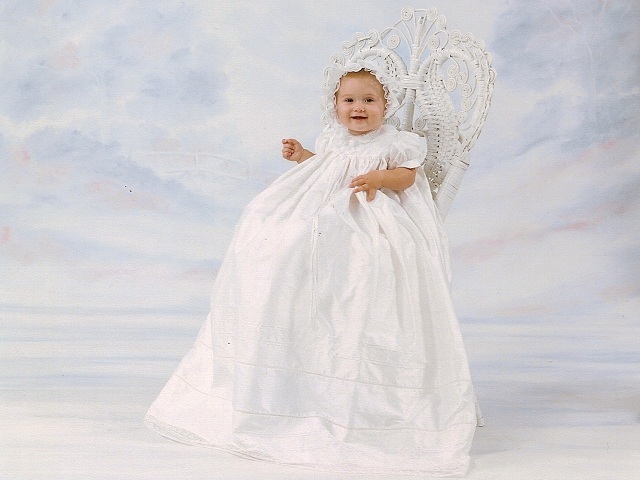 Available in white (shown) or ivory Irish Linen (shown), cotton batiste, satin, shantung or silk dupione. 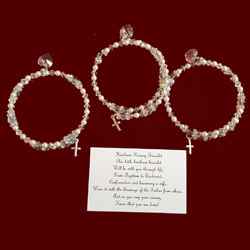 **NEW embroidered cross designs to choose from as well as your choice of Irish accents available.